Panel discussion with industry experts after work? SNORE FEST!! Except add great beer, free food truck tacos, a crowd ready to network, and some of the leading minds in the Kansas City beer industry, and you have an amazing atmosphere with impassioned anticipation for the future beer in KC. In the Crossroads mere blocks from some of the city’s newest and oldest existing breweries, the Kansas City Business Journal organized a happy hour for the second year in a row. The Journal convinced local breweries to showcase some of their beer offerings with samplings for attendees. Crane Brewing, Torn Label, Martin City Brewing, McCoy’s, KC Bier Co, and Boulevard were all pouring staples of the city but also some newcomers like Beet Weiss from Crane, Operation Yoga Pants (a gluten free Pale Ale) from Martin City Brewing, Boulevard’s newly 12 ounce bottle formatted Bourbon Barrel Quad, and KC Bier Co brought their newly bottled flagship Dunkel, Helles, and Hefeweizen. This happy hour, wittingly name the Hoppy Hour went beyond the beer. Literally. The KCBJ organized a panel of beer business experts. This included Steven Pauwels, the brew master from Boulevard. Erica Schulte, the Marketing Director and Certified Cicerone from the Back Napkin Restaurant Group. John Couture, owner of Bier Station. Mike McCann , a lawyer from Spencer Fane, heavily involved with the Boulevard merger with Duvel USA. And Rafi Chaudry, owner at Torn Label Brewing. This panel was artfully put together for the topics up for discussion. The Business Journal took on some serious discussions that really got to the depth of expertise on the panel. The questions included new distribution laws and their effects on retail sales and beer quality issues. For example being able to get growlers of beers seems like a great deal from any retail venue. Except do growler sales actually increase overall revenue for the store like Bier Station or does the sales stay cash flow neutral? 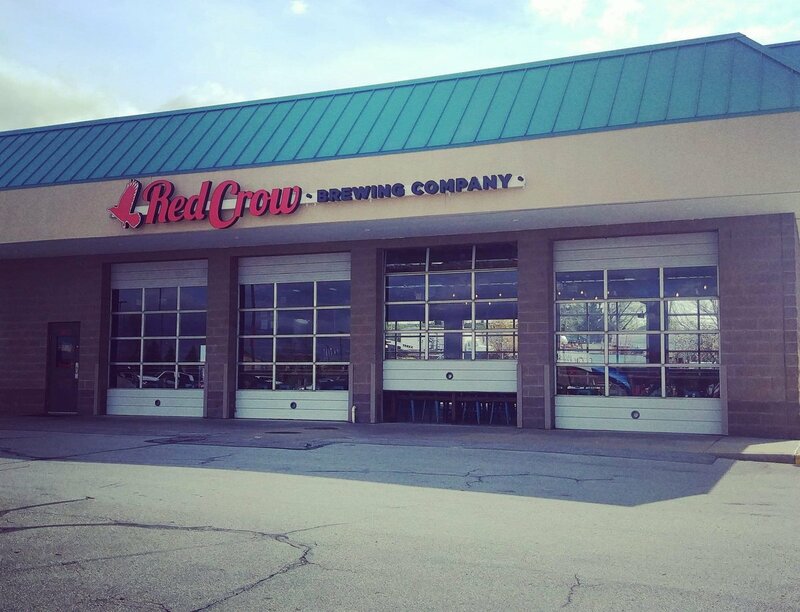 The cost of putting in taps or even a crowler system might make be a heavy investment for liquor stores and may just shift revenue rather than increase it. Have you ever tasted a flat beer? Well if you haven’t, it just doesn’t taste the same as a normal beer off tap or out of a can. Now imagine you are tasting that beer for the first time and it tasted off or oxidized? Would you buy it again? These are the concerns of brewer that doesn’t have packaging control over the beer. You will experience the beer not at its best. And they could lose you as a returning beer drinker. The quality of beer though is weighed with the demands of the consumer. Some want the growler/crowler as a method to take beer off premise and share with friends. This part of the discussion went through balancing the concerns of the brewer, retailer, and consumer. The Hoppy Hour panelists also talked through the climate of the brewing industry. Rafi and Steven especially were able to shed light on the cooperation, camaraderie, and flat out awesomeness that is the relationship among brewers. There were stories of helping with supplies and learning. In other industries, there is very little if any collaboration between competitors. According to the panel and what I have experienced, the expectation is to give back to the brewing community and help those just starting up and build relationships with what most would consider your direct competitor. It was amazing getting to see the astonishment roll across the crowd as this was being illustrated by the panel. While the ecosystem of the brewing world is very different of the rest of human existence, there are still primitive characteristics of the surrounding society that permeate the industry. If you were take a tour of a brewery any where in the USA, you would more likely than not see a white male with a beard (sorry Jeremy Danner) next to the mash tun or giving a tour. I might be joking about the beard part, but the norm is staggeringly consistent that females and minorities are not prevalent in the brewing community. There have been numerous studies and articles written on the topic, my point is that the KCBJ brought this topic for discussion, specifically around females in the beer industry. Are we doing better? This was the basis of the question asked specifically to Erica Schulte. She answered with a clear, “We are doing better.” Is it perfect? No and there are plenty of areas we could increase numbers of, efforts to involve, and invite more females to table. A voice I trust in this issue felt that intelligence should paramount to gender. [The question] wasn’t why aren’t more women in craft beer. It was about [Erica] being in craft beer. The question is irrelevant. It shouldn’t matter that she’s a woman. What should only matter is that there are intelligent people in craft beer from both genders. This has given me inspiration to write another post soon about diversity but I will leave that for a later date. The Kansas City Business Journal did well to ask the question, even in the phrasing they used. I think it spurred conversation and definitely got me thinking. There was a short QA session after the planned topics. I asked about how the industry feels about homebrewers starting up breweries in the local area. I was also wanting them to let me know if they feel formal education is more valuable over passion and homebrew experience. This second part was more about if the industry would hire me even though my education is not in the brewing field. However, the time constraints on the answer held the Hoppy Hour panelists to discussing that the brewing world has a vast majority of former homebrewers who made the leap to start a brewery. While I was hoping to maybe get some interest in someone looking to hire me, immediately after the panel disbursed I was approached by a small business loan officer and a real estate agent. 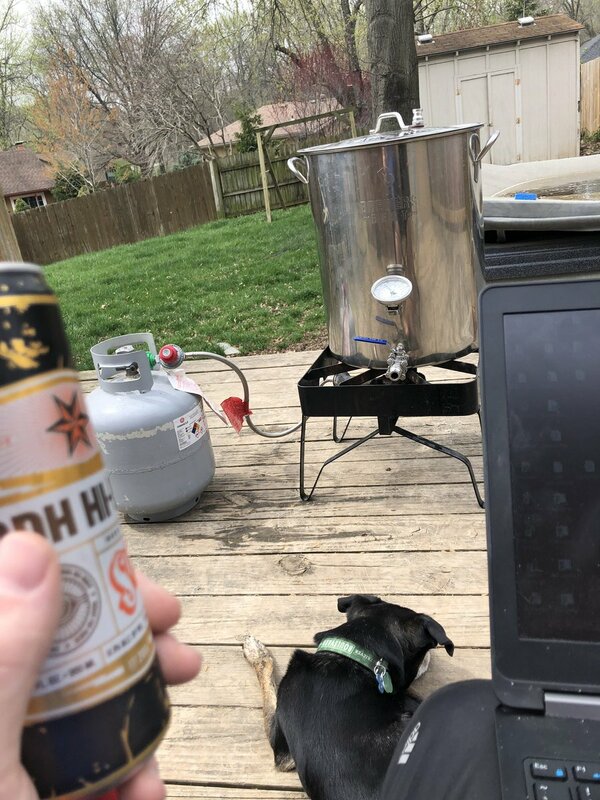 Both wanted to help me start my new brewery I am going to start up. I was very flattered. Hoppy Hour was an amazing event that got me connected with so many individuals who are apart of the beer industry. I go to fanboy in front of Steven Pauwels as he gave a separate interview for the Journal. He even took my suggestion for an answer to a question. I can’t wait to see what the next Hoppy Hour brings and I will most definitely be going. What would you want to see at a similar event? Next few posts will be K is for Kona, Diversity, and much more!